Hi, Good Morning. Thank you friends and viewers. 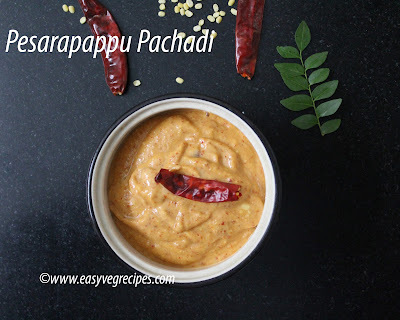 Today I will post how to make pesarapappu pachadi recipe. 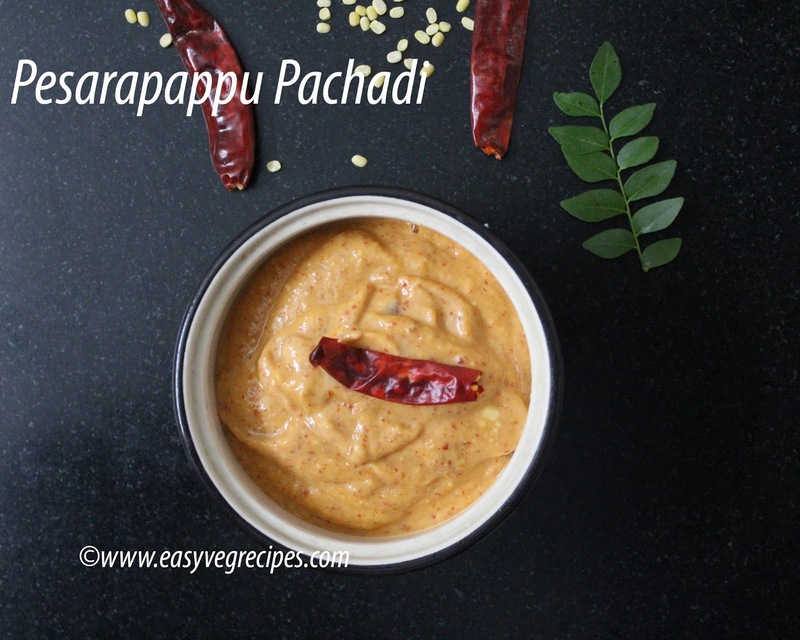 I have already posted simple version of pesarapappu chutney or chutney with GreenGram. This chutney is made with the soaked green gram or moong dal. We can make it, either way, both are easy and simple. Both are served with rice only. Here we soak moong dal for an hour and then add all necessary ingredients and grind them. Lastly, we add lemon juice to it. Making of these kinds of chutneys and curries is very easy, no special tips are needed to make the dish tasty. Just we have to use best quality ingredients and add enough salt and spices. The dish would be made perfectly. They take very less time from ten minutes to half an hour. We get them very rarely to order them in restaurants. Like or subscribe my youtube channel to get more updates. Soak green gram for half an hour to one hour. Combine all other ingredients, except lemons to mixer grinder. Grind them to a fine paste. Check the salt, if necessary add little. 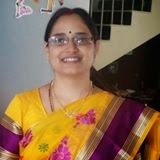 Squeeze juice of two lemons directly into the pachadi. Mix it well and transfer this to serving bowl. Serve pesarapappu pachadi with hot piping rice and spoonful of oil.